One of the paradoxes about psychiatry is that we have never known more about and better treated mental disorders, yet there exists so much unease about the practice of mental healthcare. Patients feel still stigmatized, psychiatrists are struggling with their roles in a rapidly changing system of healthcare, there is lack of consensus about what mental disorders are and what the focus of psychiatry should be. Person-Centred Care in Psychiatry: Self Relational, Contextual and Normative Perspectives offers a distinctive approach to two important linked conceptual issues in psychiatry: the relation between self, context, and psychopathology; and the intrinsic normativity of psychiatry as a practice. 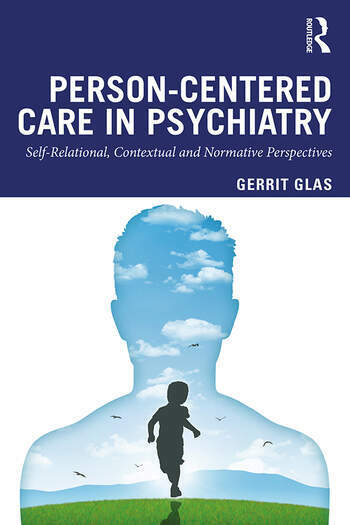 Divided in two parts, this book shows how the clinical conception of psychopathology and psychiatry as normative practice are intrinsically connected, and how the normative practice model can be conceived as a natural extension of the analysis of the web of relations that sustain illness behaviour as well as professional role fulfilment. Person-Centred Care in Psychiatry brings these topics together for the first time against the backdrop of unease about scientistic tendencies within psychiatry in an interconnected discussion that will be of interest to academics and professionals with an interest in the philosophy of psychology, psychiatry and mental health-care. Gerrit Glas is a practicing psychiatrist and professor of philosophy at the Vrije Universiteit and the Amsterdam University Medical Centre. His main interest is in conceptual and normative issues at the intersection of psychiatry, philosophy, neuroscience, and society.